Former tQ albums of the year sorts Teleplasmiste are back with a reality altering cassette on the GNOD-affiliated Golden Ratio Frequencies label. 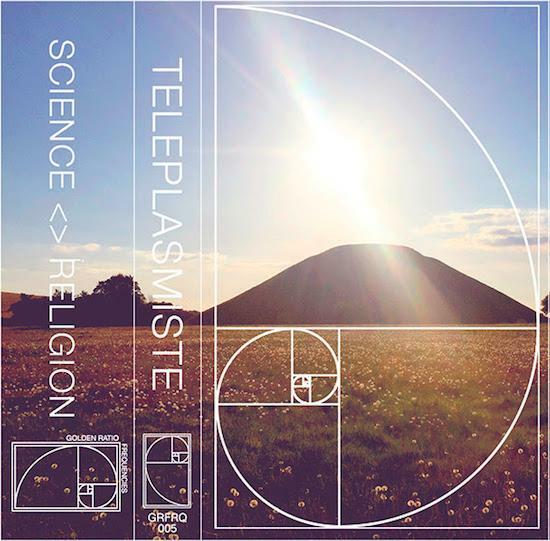 Science <> Religion features two tracks of mind-melting electronic, pipe and bell frequency stimulation. The opening track 'Science' is a tribute to the process music of Steve Reich and features a looped sample of true English eccentric, occultist and foundational figure of British rhythm & blues, Graham Bond, reconfigured as spectral ferrous oxide tape shaman. But then 'Religion' wins the day with analog intensity.